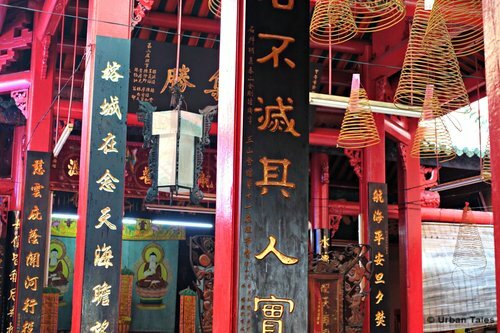 Little known to the public and less elaborate in terms of architecture, this pagoda is nevertheless a charming one. 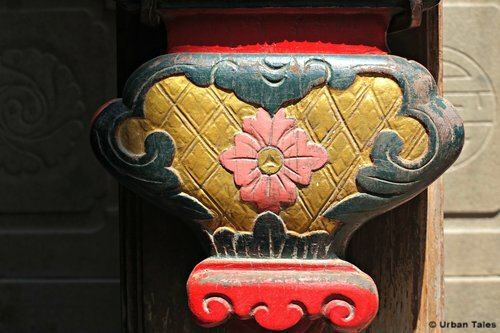 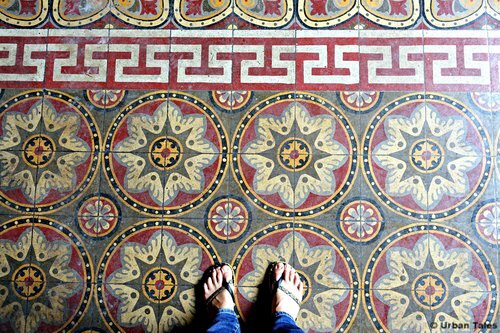 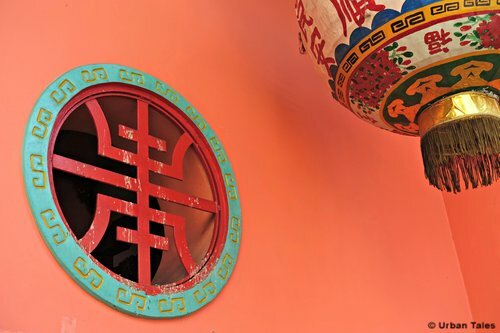 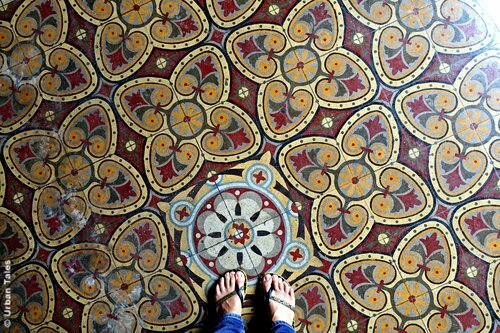 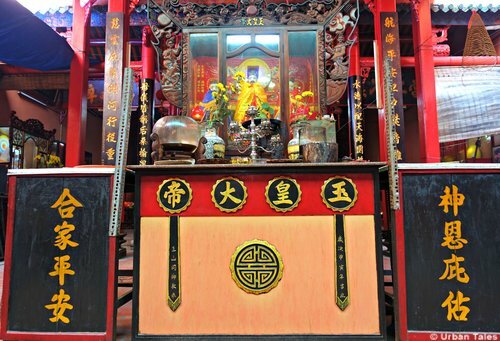 It was built by the Fujian Congregation of Saigon in 1839, and still retains some of the rich ornamentations of that time. 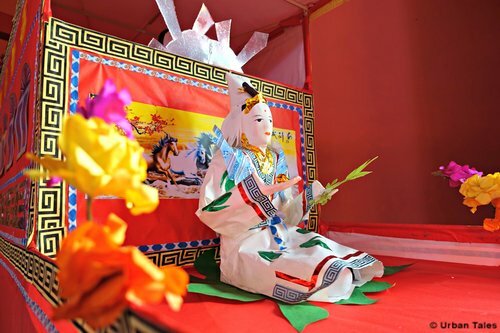 This small and quiet pagoda is dedicated to Me Sanh or Mother Sanh which is the fertility goddess. 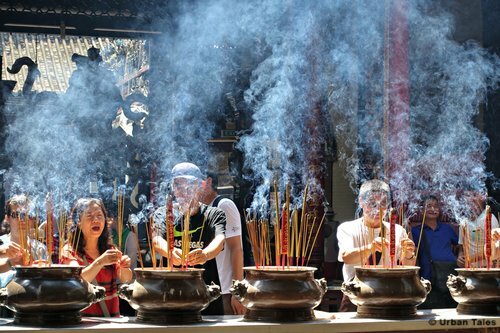 So most of the visitors to this temple are couples or women in hopes of conceiving a baby. 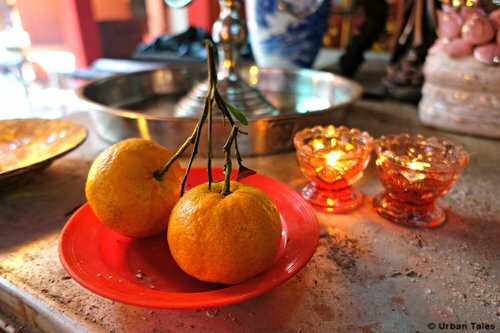 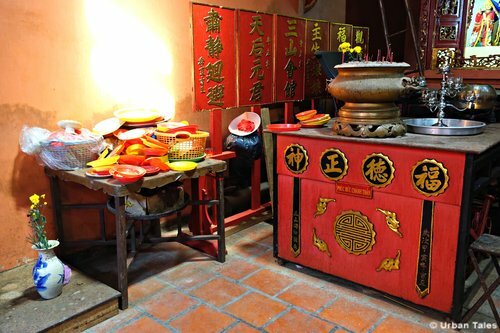 You can see them making offerings, to the altar at the back of the temple. 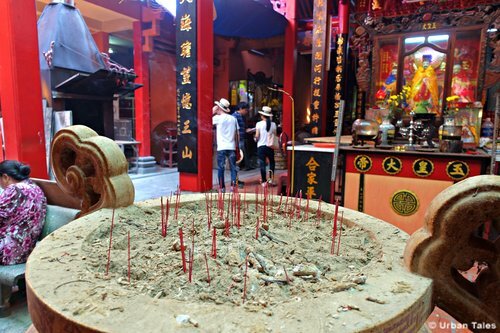 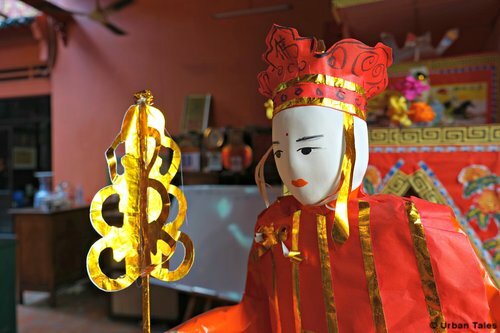 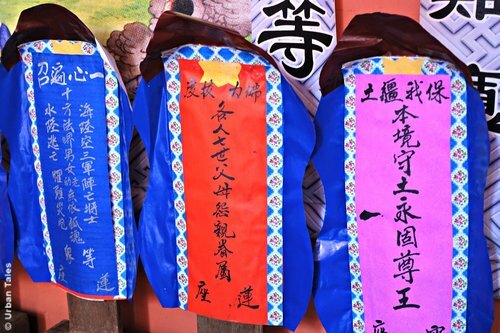 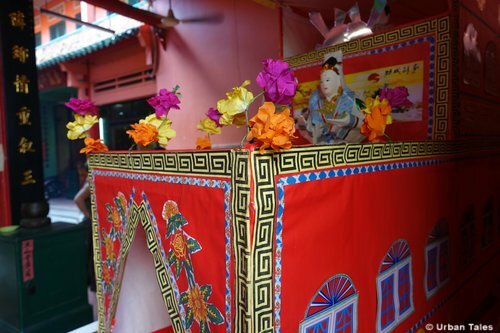 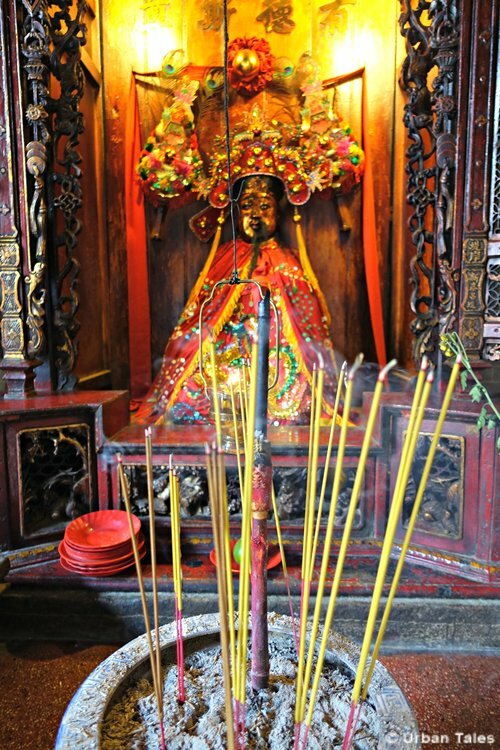 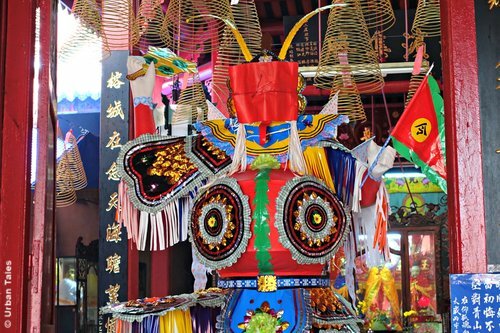 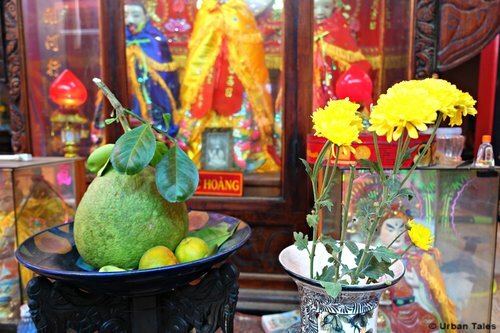 Among the striking deities and figures of this temple we can also find Thien Hau, the Goddess of Seafarers which is revered within the main shrine and the general Quan Cong with his long black beard and his sacred red horse, favorable towards travellers. 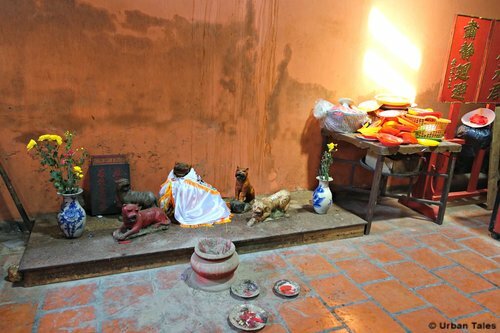 There is as well an altar dedicated to the tigers, supposedly bringing you some power of the animal if you come and worship him. 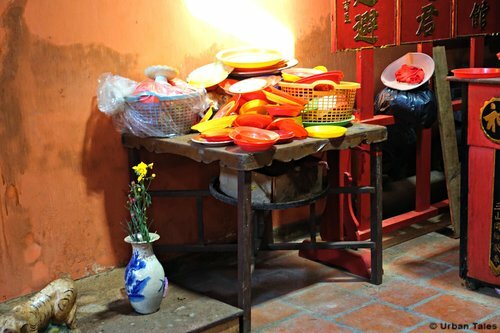 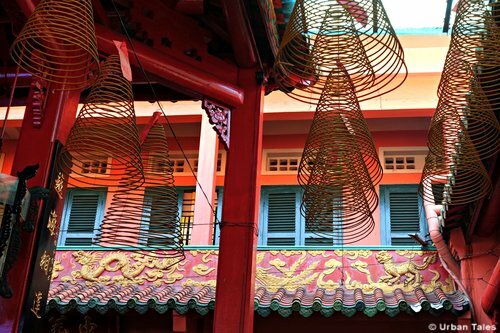 If you want to visit this pagoda in the heart of Saigon’s Chinatown and discover the area in a very unusual and interactive way, book our life-sized treasure hunt and come investigate the strange case of Dr Lam!